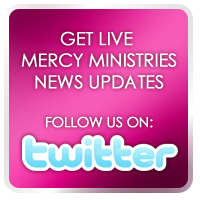 Mercy Ministries News: Another Life Saved Because of your Support! Mercy Ministries is celebrating the birth of a healthy baby boy to MkKenzi, one of our Nashville residents. Born on Friday, June 6, baby Judah weighed 7 pounds 13 ounces and was 19 inches long. We thank God for the life of this precious one! MkKenzi is going home to begin her new life with the full support of her family. Your support is making it possible for MkKenzi and Judah to have a future full of hope, promise, and potential.